Playing the Wii Fit Hula Hoop game is almost exactly like hula hooping in real life. The only difference is that instead of going for time — how long can you keep the hoop going? — you're going for the most spins of the hula hoop around your waist. Rotate your hips in a big circle to keep the hula hoop spinning. Remember that Wii Fit reads everything through the balance board surface. If you're having trouble, think about your feet and imagine your weight distribution moving in a circle along with your hips. You aren't just hula hooping all by yourself! Two other Miis are standing in the distance cheering you on. From time to time, one of them will throw another hula hoop at you to catch and add to the total number of hoops you're spinning. You want to catch all of these thrown hula hoops in order to get the best score, as the spins of each hoop are calculated separately. You'll need to lean either right or left to catch a hoop, but if you don't shift your weight correspondingly, your Mii might not respond. Be sure to lean over and also shift your weight to the appropriate foot in order to catch hula hoops. Stretching your arms over your head like the game recommends can help, too. The Wii Fit will always lecture you to keep your hips moving, because it notices you stop doing that when you lean. Ignore it — as long as you being moving your hips again the second you catch the hula hoop, nothing bad will happen (no hula hoops will fall or stop spinning). Moving your hips in big circles at a slower pace will work better than faster, smaller circles. If you're having trouble catching the hula hoops the Miis throw at you, try lifting your right or left foot while the hula hoop is coming at you. The goal is to shift your weight to the side the hula hoop is being thrown from. You may notice a reaction delay when you lean in to catch a hula hoop. Try leaning a moment earlier than seems necessary to compensate. This might result in fewer spins in the short term, but simply catching the hoop will result in many more spins long term and a higher score. Continue to page 2 to learn about losing weight with Wii Fit Hula Hoop. 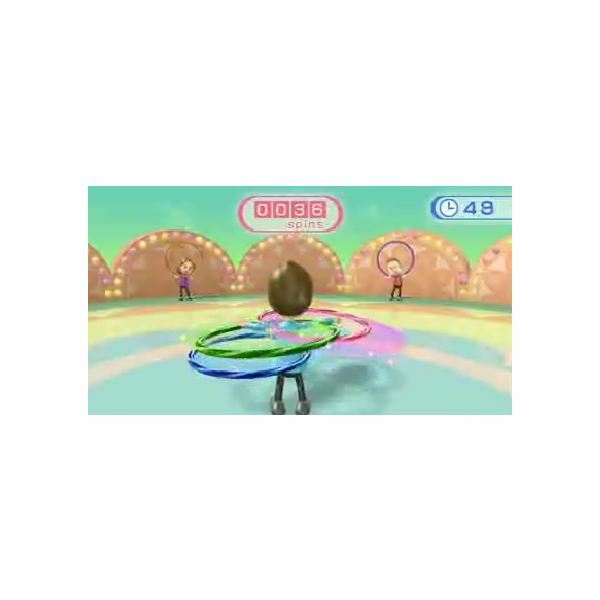 Hula Hoop is one of the best aerobic exercises included with Wii Fit. Wii Fit is often criticized for lacking in exercises that will get a reasonably fit person's heart rate up, but Hula Hoop and Super Hula Hoop gets things moving. Hula Hoop, as measured by researchers, has a 4.2 MET value. MET, short for Metabolic Equivalent of Tasks, is a way to rate activities by their exercise value. For instance, jogging at a 12-minute mile pace is 8 METs. Walking 4 mph is 5 METs, while walking 3.5 mph is 4 METs. So we can see that playing the Wii Fit Hula Hoop game results in fairly serious exercise, roughly equivalent to walking at a brisk pace. People who use Wii Fit to help them lose weight report including Super Hula Hoop in their aerobics workouts. Why Super over plain Hula Hoop? Super Hula Hoop goes for a longer duration — three, six or ten minutes — and forces you to rotate your hips both clockwise and counterclockwise. The calories you burn while hula hooping on Wii Fit will vary according to your own personal weight and fitness level, but keep in mind that calorie burn while exercising isn't what is important — it's the long-term effect of raising your heart rate on your metabolism, helping you to burn more calories all the time. 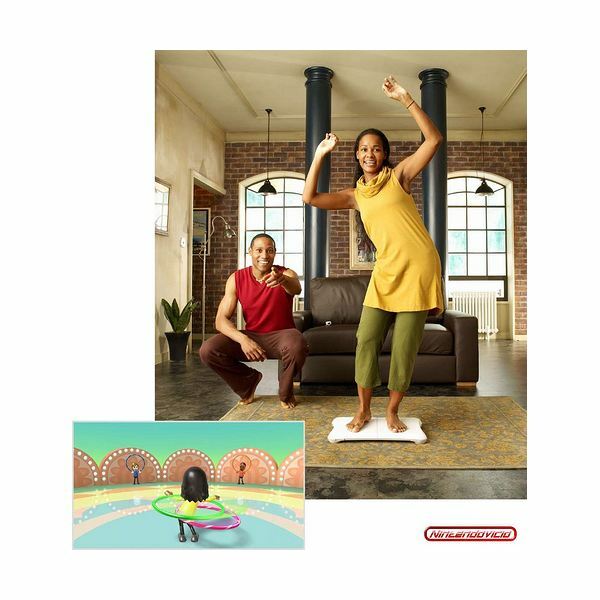 The Wii Fit Hula Hoop game, and Super Hula Hoop, are a fun way to get a good-quality aerobic workout. With the right approach, you can catch every hula hoop tossed your way and keep them all spinning at high speed for the best scores.